If you are planning to bring a spice to your life, it’s time to change to embroidered heels. Every woman loves heels to her heart. Though some women don’t like to wear them themselves, they at least love to see others wearing them! 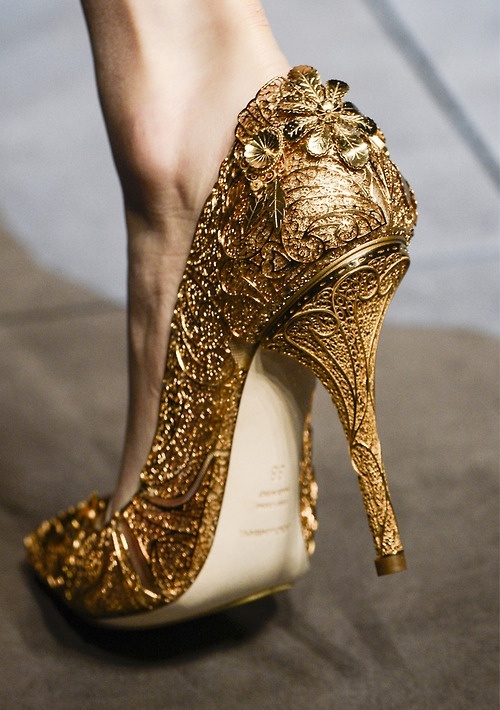 So, what if this lovable footwear has got some lovely embellishments? They go great with long dark jeans and even with a simple cocktail dress. 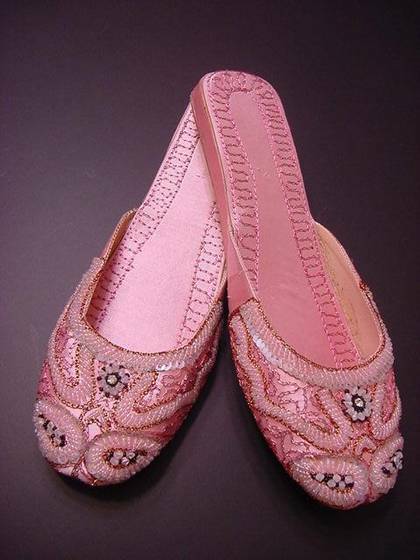 Though, because of the details, their price increases, when you get them they become the gems of your shoe range. Consider some of the following. This is a ravishing piece by Dolce Gabbana wherein you can see lovable floral patterns embroidered in a cross-stitch like fashion on black background. 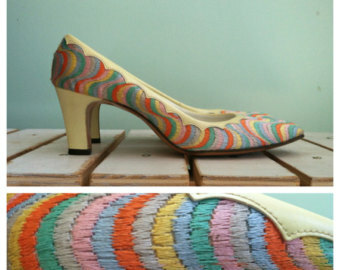 The shoe has its heel part embroidered too. You can wear them on any formal occasion to get a classy look or on an informal event too just to look gorgeous. And these are Brian Atwood Claudia suede pumps – embroidered in an oriental fashion. Wear them on simple skirts or cropped trousers. And to add flair, sport bohemian jewelry. Let’s get back somewhat to earth again with these low-heeled pumps embroidered beautifully with soft pastels on white leather. This 1960s fashion is about to revive again with its simple, down-to-earth, yet classy look. 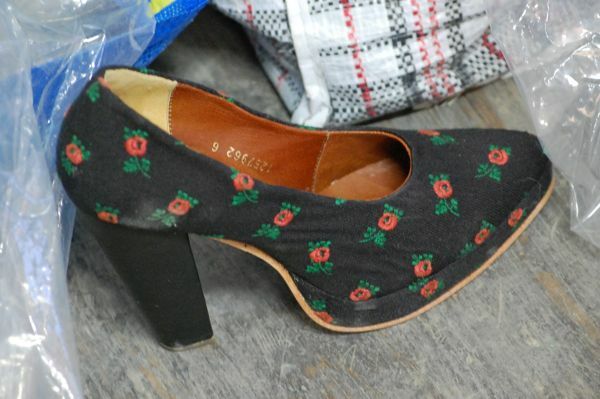 And if you want to take up your old look of a schoolgirl, here is a cute shoe with fairytale rose garden embroidered on a black background. These too go well with long jeans or skirts – apt to give you a young look. Want to stun others with elegance in the disguise of simplicity? Choose this royal blue faux suede with embroidered rhinestone details, stitched almond-shaped toe, scoop vamp, and above (or below?) 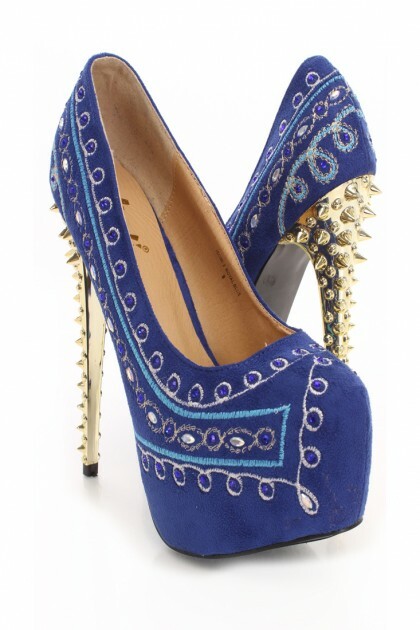 all, high polish heel with carved spikes. Perfect for any occasion and with any outfit! Get a playful touch with these Sophia Webster embroidered silver leather pumps. Its appeal is enhanced by a floral appliqué toe. It’s perfect to sport on occasions like picnic and close friends’ parties. And again down to earth while at home! Wear these comfy slides with beads embroidered on them. Choose a playful color like pink, light blue or green, and you will feel pleasant and relaxed. And this one is my most favorite – a presentation by style icon Caroline Issa! 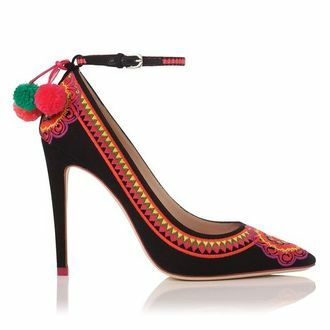 It is inspired by traditional Thai fabrics – stunning high heeled court shoe with a delicate ankle strap, an exclusive pink heel cap and charming pom-poms flamboyantly swinging from the heel. So, this season bring a new sensation to your shoe collection with one of these embroidered shoes and get looks of envy and appreciation!